Located in Eastern North Carolina, Elizabeth City exists today as a favorite stop among boaters and travelers, while remaining a beloved community for its residents. The city possesses a distinct character, flavored by warm weather, friendly residents, a revitalized waterfront, and historic architecture. With the many waterways that surround the area, such as the Pasquotank River, the Albemarle Sound, and various other creeks and streams, it is not surprising that the city's history has been greatly shaped by such canals. With the completion of the Dismal Swamp Canal in 1805, which connected these waterways with Norfolk's port, Elizabeth City residents were able to offer their agricultural and lumber goods to the world. 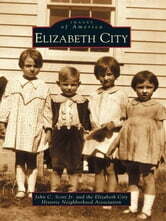 Elizabeth City is a volume that shares with readers keepsakes from the town's defining years. 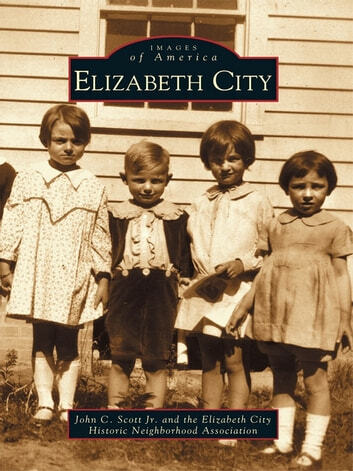 Vintage photographs, many taken by well-known Elizabeth City photographer William Henry Zoeller, come alive through descriptive text. Spotlighted are the many residents who contributed to the city's heritage, whether publicly or in a smaller, more personal fashion, including Dr. A.L. Pendleton and his family in the city's first automobile and the Wright Brothers who stayed in the city for a while before making their way to Kitty Hawk. Other images offer glimpses of the ever-changing streets and waterfront, as well as the various forms of architecture that have lined both over the years.